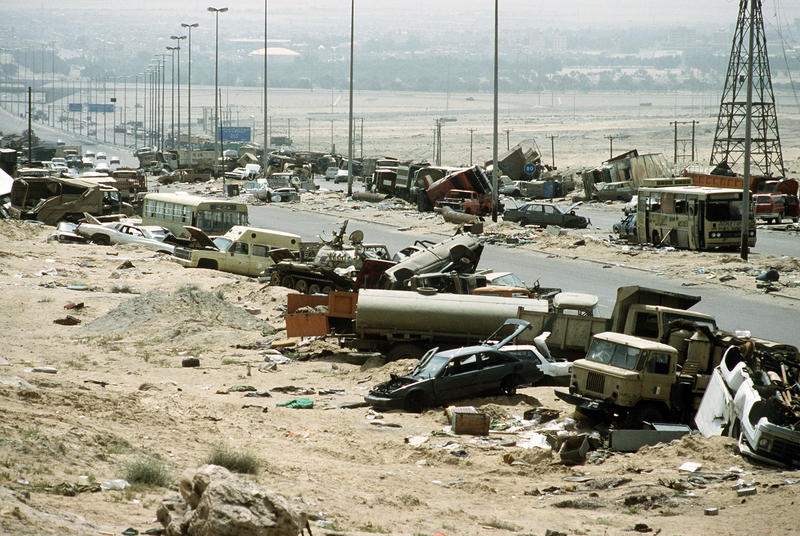 Destroyed Iraqi civilian and military vehicles on the Highway of Death. Photo by TECH. SGT. JOE COLEMAN.